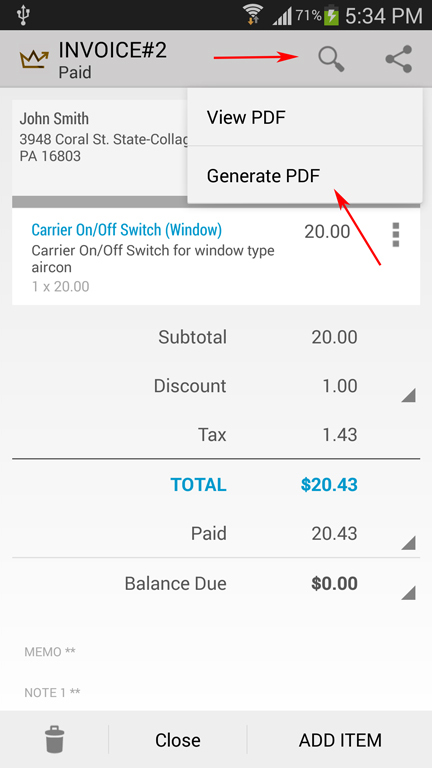 Note: The app only generate PDF printout. 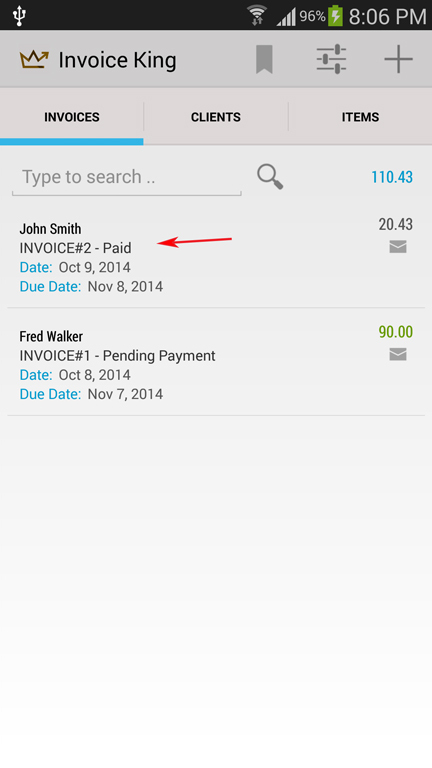 To print it on a printer, you will need to install a 3rd party app that can link your device with the actual printer. 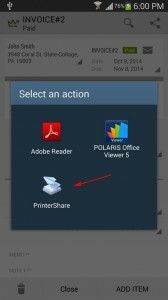 You can try installing “Printer Share” app as it support a number of printers. Assumption: “Printer Share” is already installed on your device and have linked to your printer. (2) Then click on the Magnifying Glass icon > Generate PDF. 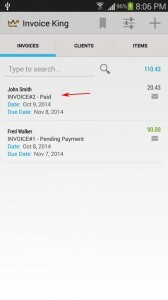 – This will create a PDF invoice. * Note: The View PDF option is use when user have previously generated a pdf, and wanted to view it again. 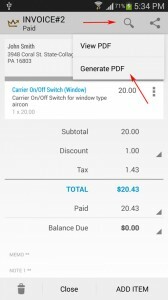 (3) Then instead of choosing a PDF reader, choose the Printer Share app. (4) Then choose the printer on where you want to print.